A spinal cord injury involves damage to any portion of the spinal cord or nerves at the end of the spinal canal, sometimes resulting in permanent loss of strength, feeling or other body functions below the injury site. At The Garvin Law Firm, our team of experienced Fort Myers spine injury lawyers will steadfastly fight for maximum compensation for spine injury victims, whose lives have often been irrevocably altered by someone else’s wrongdoing. These mostly involve a sudden, traumatic blow to the spine that fractures, dislocates, crushes or compresses one or more vertebrae. Actual damage can occur immediately, or over the course of days or weeks, as bleeding, swelling, inflammation and fluid accumulation occur in and around the spinal cord. Lifetime costs for spinal cord injuries and related secondary conditions are staggering, posing a substantial financial burden not just on the individual, but also their families. That’s why the spine injury lawyers at our Fort Myers firm remain firmly committed to offering the best legal services for spinal cord injury victims in South Florida. The National Spinal Cord Injury Statistical Center reports there are 17,000 new cases of spinal cord injury a year. It’s a leading cause of paralysis – both complete and incomplete. Complete paralysis involves the loss of all ability to feel or control movement below the injury. An incomplete injury may allow for varying degrees of sensory and motor function below the affected area. Pain caused by nerve damage. Sufferers may have a difficult time gaining employment (just 1 in 6 were employed post-injury, despite 1 in 4 being college-educated), roughly 30 percent are re-hospitalized once or more in any given year following the injury (with an average length of 22 days) and life expectancies remain significantly below those without spinal cord injuries (with average years of life remaining not improving much since the 1980s). 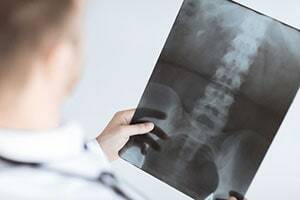 If these injuries were the result of someone else’s negligence, the spine injury attorneys at our Fort Myers firm, with more than 40 years of experience, will fight to help you secure maximum compensation for your losses. Your top priority after a catastrophic injury such as a spinal cord injury is immediate medical attention. As soon as possible thereafter, you or your representative should consult with an injury attorney. A school or sports team that failed to ensure players had proper protection from game-related injuries. In most cases, spinal cord injuries are the result of preventable causes. Our South Florida spinal cord injury attorneys will examine whether your claim falls into this category, help you identify all possible defendants and pursue the maximum amount of damages available. Prompt action is necessary given Florida’s statute of limitations. F.S. 95.11 allows up to four years for filing personal injury lawsuits, though we generally don’t recommend waiting that long. Medical malpractice and wrongful death lawsuits must be filed within two years. We offer free initial consultations, as well as legal services on a contingency fee basis, meaning you pay no attorney’s fees unless and until we win. Contact the Fort Myers spine injury attorneys at The Garvin Law Firm today at 239.277.0005 or online for a free case review.